The 17th edition of the Mediterranean Strategy Group addressed the question of how NATO should think about a more explicit strategy for the South. The meeting featured interactive discussions on the main challenges that require the Alliance’s attention, and what level of priority addressing these challenges from the South could and should have within NATO. 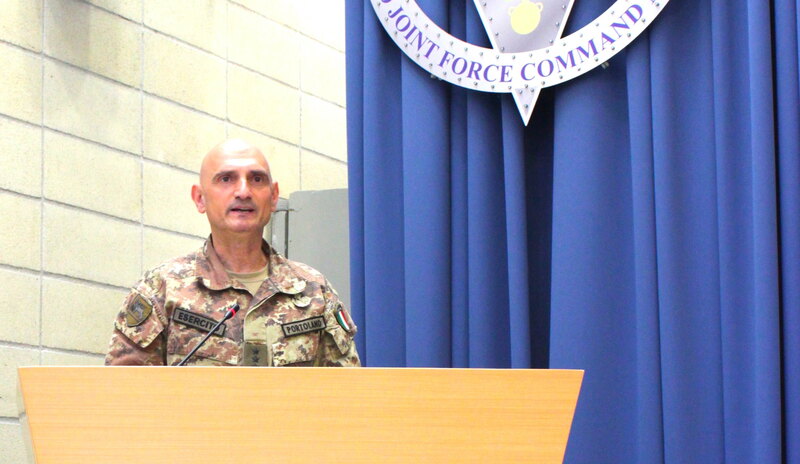 Part of the meeting was hosted by the NATO Strategic Direction South HUB at the Joint Force Command in Naples to talk about NATO's cooperation with other regional and international security actors, and next steps in Mediterranean partnerships. To read and see more on the conversations at the conference, explore the twitter hashtag #GMFMedStrat and the photos of MSG conference on Flickr below.